The purpose of Girl Scouts movement is to explore the potential of girls and young women to equip with good moral character, leadership skill and international acknowledge coping with future challenge and fulfilling the commitment of serve the people and the community. Fully stimulate the potential of girls and young women. become responsible citizens of the world. To promote girl scouts education and activities. To develop leisure activities for young people. To organize all kinds of training and activities for girl scouts. To cultivate good character of young leaders. To participate and serve community development and activities. The value of Girl Scouts movement is to provide a creative training program to enforce girls and young women’s capability to meet the basic requirement of WAGGGS goal in building international friendship and promoting world peace. 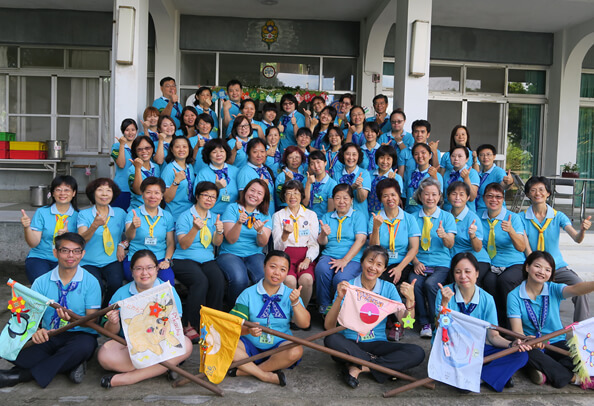 Copyright © 2017 Girl Scouts of Taiwan All Rights Reserved.